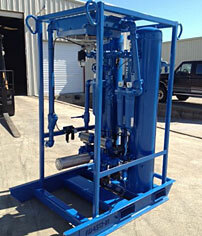 Romar Air Dryers Made With Pride in the U.S.A.
Romar is proud to manufacture all of its air dryers in Texas. 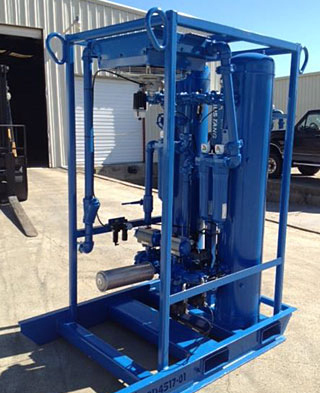 Using our own modified, improved design, Romar desiccant air dryers are in high demand for equipment companies who need rental fleet units, as well as for companies in industries who need units for their own use. 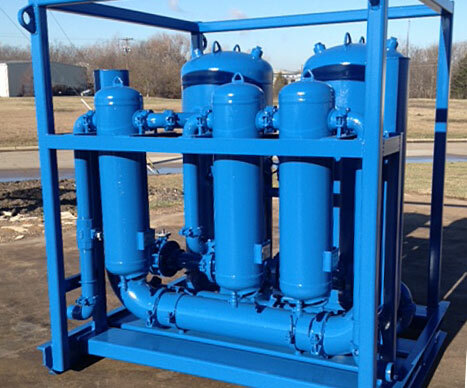 We offer our customers a variety of reasonably priced, high quality industrial air dryers with a proven history of performance. 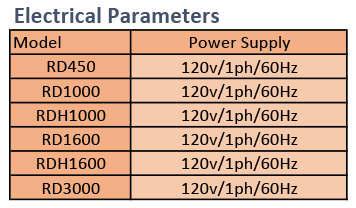 Readily available replacement components and maintenance items are available through Romar Supply locations. 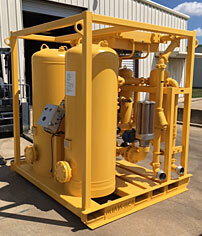 Skid mounted and manufactured according to dimensions to ship domestically on any truck or internationally in ISO (conex) containers, they can be sent anywhere, nationwide or worldwide! 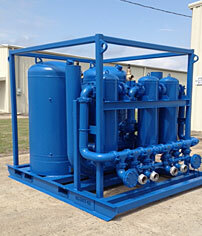 Consider the quality and durability of American made products when choosing a manufacturer. 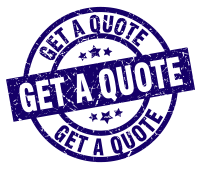 Choose Romar Air Dryers! 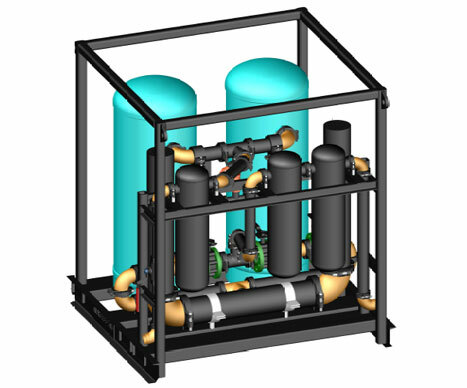 The Romar RD Series ranges from 450 CFM to 3000 CFM, and has optional fully integrated aftercoolers and filtration to provide pressure dew points of -40°F to -100°F and meet most common air compressor ratings. 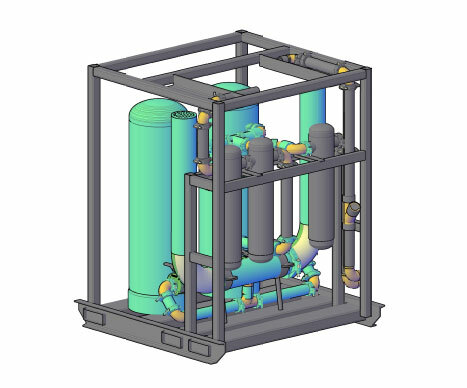 Our heavy-duty, yet transportable desiccant air dryers are specifically designed for applications where clean dry air is required for short-term mobile use, e.g. 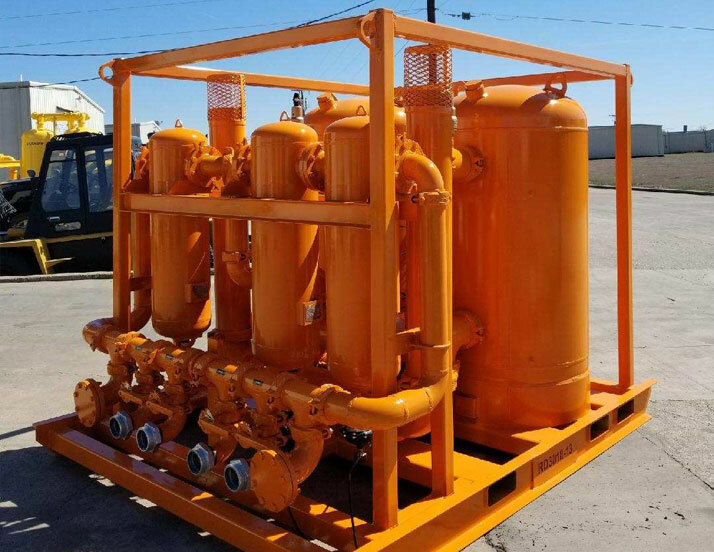 emergency service, stoppage, turnarounds, supplemental or temporary air supply, but are durable enough for long-term, permanent use, as well. 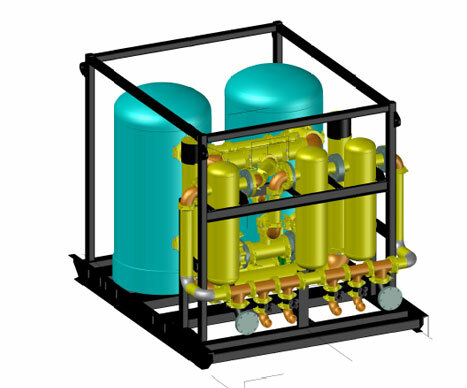 Aftercoolers reduce the temperature of hot saturated compressed air leaving the compressor to drop out moisture and lower the temperature of air going into dryer. 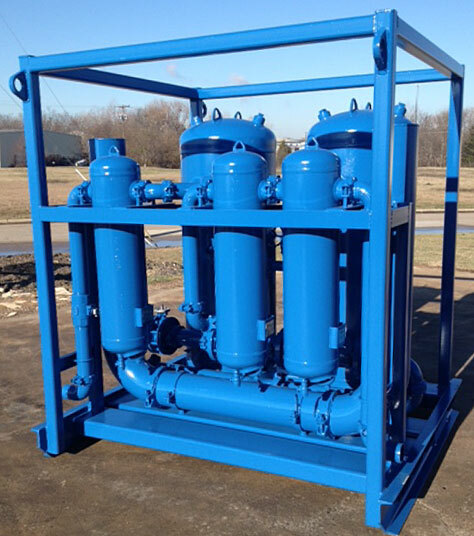 Three levels of filtration to meet compressed air quality standards. 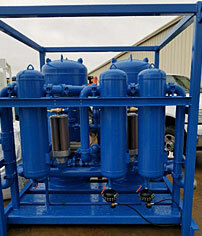 After-filter: 1.0 micron, removes particulates, protects downstream equipment. 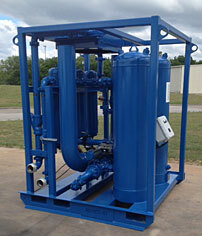 The Portable Romar RD Series Desiccant Air Dryer offers air quality solutions for these and many other industries.